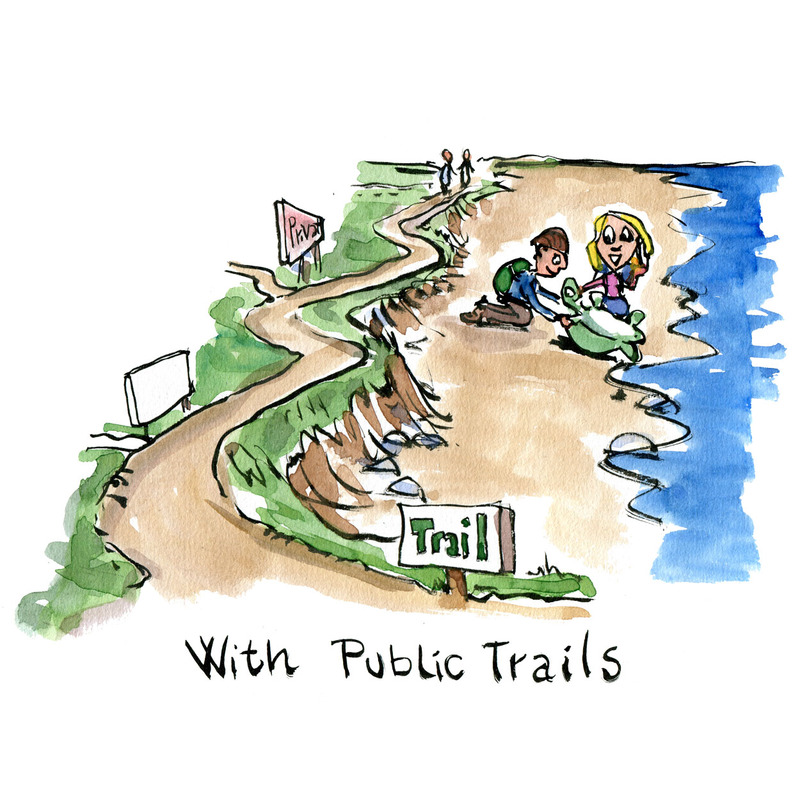 Public coast trails are good for a lot of things, including helping local communities to better thrive, better economy, and better health. 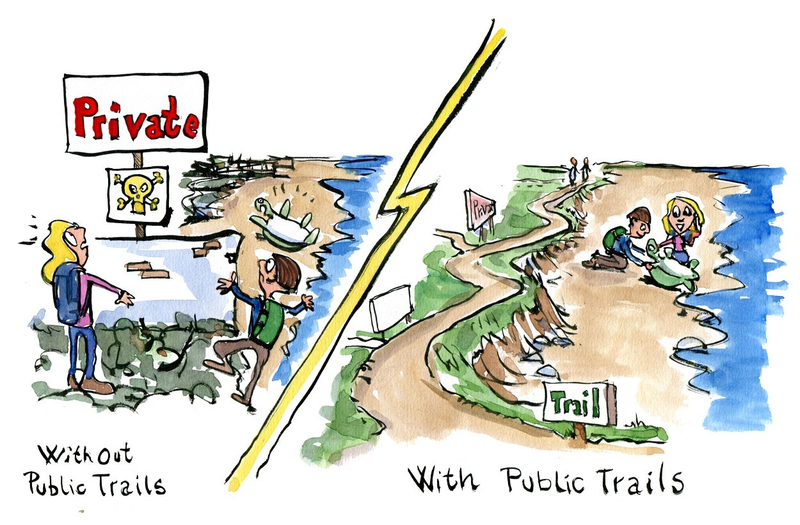 And the coastal trails also work to make the local communities more resilient to climate change and rising sea levels, as the coast trails can be designed to protect the inland areas against flooding and work as an efficient barrier against storm surges. Beside all these good things coastal trails can also help locals and volunteers rescue sea turtles and other critically endangered animals from extinction. 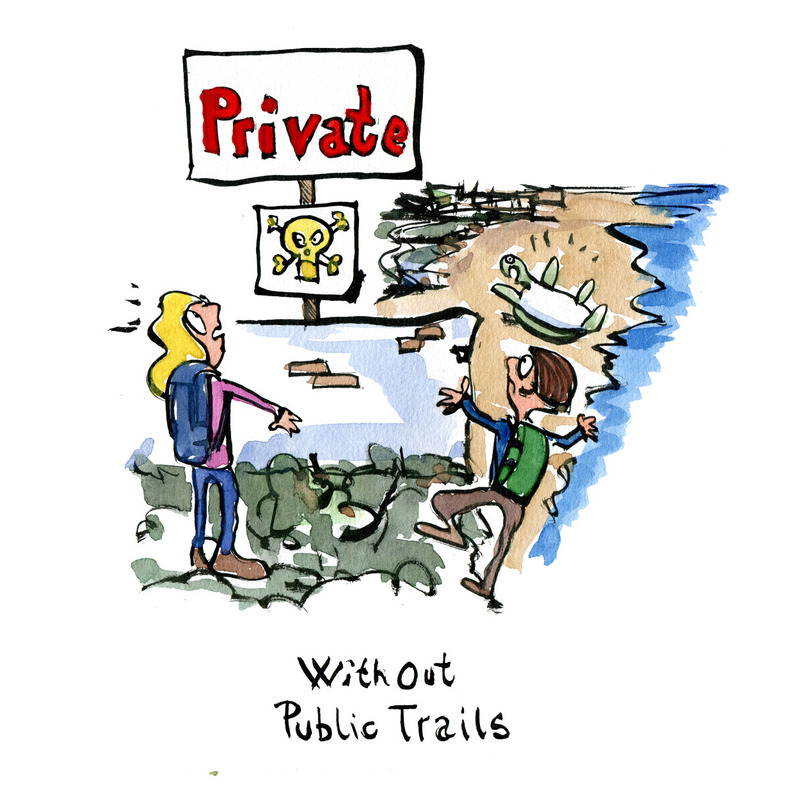 The coast trails can be the very structure that makes all the difference for endangered species – and all the difference for the local coastal communities too, helping them to face the uncertain future of climate change in better and stronger ways.